Nina Johnson is the founder and Director Emeritus of the Himalayan Yoga Meditation Center, formerly called The Yoga Society. Nina has been teaching classes in Milwaukee for over 40 years. With the blessings of her guru H.H. Sri Swami Rama, and with her own natural compassion, determination and a practical, down-to-earth style, Nina has trained and initiated hundreds of students in the practice of hatha yoga and meditation. Nina began studying yoga in 1965 at the downtown YWCA. When her teacher retired, Nina was chosen as her successor. In the spring of 1971 she met Swami Rama during one of his first visits to the United States. Soon after their first meeting, Nina was initiated by Swami Rama and asked to open a center for Himalayan yoga and meditation in Milwaukee. The Center opened in 1971 and began offering classes in this tradition. In 1974, Swami Rama instructed Nina to begin giving mantras on his behalf. Nina now lives in in the village of Malethi, in Uttaranchal, India, the site of SRIVERM (Swami Rama Institute of Vocational Education and Research, Malehti), a project started by Nina’s beloved teacher Swami Hariharananda. Nina returns to Milwaukee twice a year and continues to teach and initiate new students into the Himalayan Yoga Meditation tradition. After years of searching, Denise Cronk found Swami Rama’s Tradition in 1986, and her search for authentic yoga came to an end. 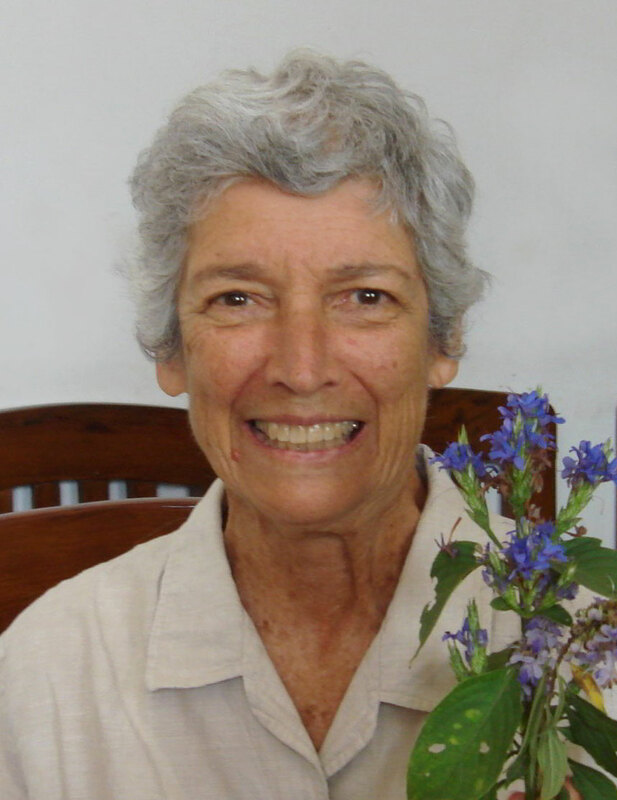 She began her studies at the Indianapolis Himalayan Center with Rose Getz and was initiated into the Tradition by Milwaukee’s HYM Center Director, Nina Johnson, in 1988. Denise was also among the initial group participating in the Himalayan Yoga Meditation Teacher’s Training Program in 1999. Her training included studying in Calgary, AB, India, and St. Olaf University (2002 & 2004). Her continued studies includes Himalayan Tradition retreats (Teachers Training Programs, Silence Retreats, AHYMSA, and various others). While living in Columbus, OH, she taught Hatha and Meditation at Ohio Wesleyan University and various hospitals and schools. By the direction of Swami Veda Bharati, she started a Himalayan Tradition center in Columbus, OH. When she and her family moved to Milwaukee, Denise began teaching at UWM, St. Francis Hospital and the HYM Center on Farwell known as The Yoga Society. She now concentrates teaching solely at HYM. A student of the Himalayan Yoga Tradition since 1974, my practice of yoga is an attempt to structure my life on the core principles of yoga. This provides me with the philosophical and ethical guide posts on which I can build my life. Yoga means union, and it is a holistic system to develop and integrate the physical (hatha), social, emotional, mental, and spiritual aspects of my life. I took my first yoga class in 1974 because as an athlete I had incurred many sports injuries over the years and I thought yoga could give me the tools to help improve my health and prevent future injury and pain, which proved true. Once I began studying yoga I realized that hatha yoga is only one of the eight rungs on the ladder of yoga as taught in this the Himalayan Yoga Tradition of Raja Yoga. Yoga is not a religion but it has a systematic approach to teaching meditation, really self study, that has led to my spiritual growth in a profound way. Yoga has helped my health, helped save and improve my marriage of 44 plus years, and has assisted me in becoming a more confident, decisive and generous businessman and teacher. As a young man Warren had the great fortune to receive instruction and initiation from Nina Johnson, spiritual director of the Yoga Society of Wisconsin. Over the years he has had the privilege and honor of continuing his studies with Nina, Swami Veda, Swami Hari, and the many gifted teachers of the Himalayan Tradition, studying in both the United States and India. Warren currently is a lecturer at the UW- Milwaukee’s college of Health Sciences, teaching Yoga, Relaxation and Meditation. Deeply interested in the growing research being conducted on the potential health benefits of meditation, his teaching style reflects this interest, placing a strong emphasis on the importance of breath awareness and yogic breathing practices. While mindfulness is an important practice in learning to meditate, it is not the final destination. The goal of these practices is to assist the student in calming and stilling the mind, in order to travel beyond the minds limitations. Beyond mindfulness is a state of deep, profound silence. Jillian Holy-Skaja became interested in Yoga in 2000 through an internship and restorative Yoga classes at a holistic health center for individuals living with HIV and AIDS in Chicago. After moving to Milwaukee in 2004, Jillian met Nina Johnson at The Yoga Society and had the opportunity to meet Swami Hari and Swami Veda when they visited and lectured at the center. During 6 months of travel to India in 2006, Jillian attended the 10-year Mahasamadhi (10-year anniversary of samadhi) of Swami Rama and spent time studying at the ashram Swami Rama Sadhaka Grama. She traveled around India, studied with the Krishnamacharya Yoga tradition, and spent time at the Kaivalyadhama Yoga Health Care Center. 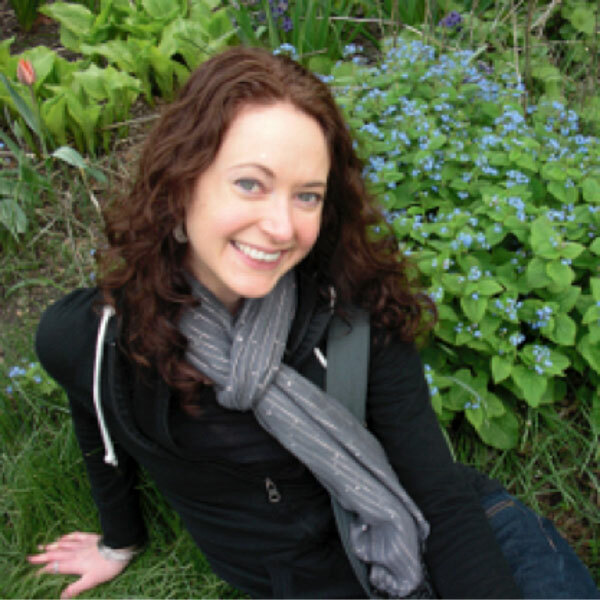 After her time in India, Jillian began teaching Yoga and was initiated by Nina Johnson in 2007. She returned to India in 2010 for Himalayan Yoga Teacher Training. Jillian’s personal passion is to bring Yoga to various populations. She has taught Yoga in a variety of settings and worked with many individuals who might not normally have access to Yoga because of financial or physical limitations. Due to her interest in integrated and holistic medicine, she also brings Yoga, stress reduction and relaxation methods into traditional medical settings. 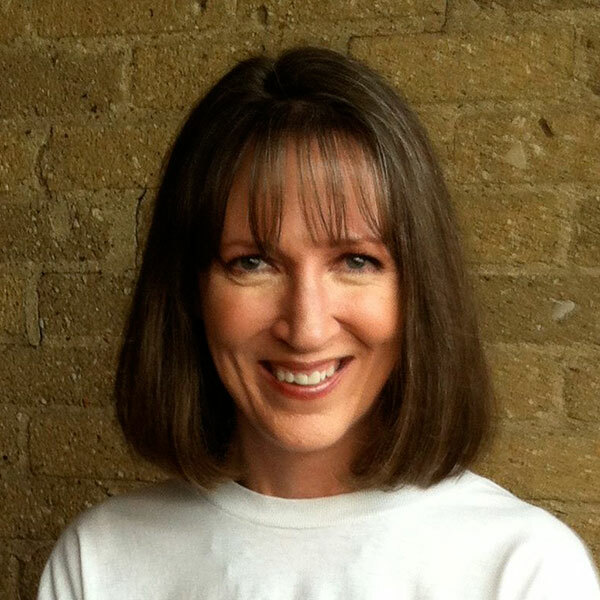 She has taught classes at CORE/El Centro Natural Healing Center, The Yoga Society, Aurora Sinai Hospital, the Whitefish Bay Recreation Department, Chiropractic Care Center as well as various non-profit and health care organizations in Milwaukee. She holds a Bachelors degree in Psychology and a Masters degree in Public Service with a specialization in Health Care Administration. John had his first contact with Swami Rama in 1978 at a lecture at UWM and was initiated into the Himalayan Tradition in 1983. John studied the Upanishads and other yoga subjects with Swami Rama in Milwaukee and Green Lake (WI), Chicago (IL), and in Honesdale (PA) where he was personally instructed by a joking Swamiji on how to “sit straight” before lecture audience. Since that time John has continued studies of meditation and breathing practices with Swami Hariharananda Bharati in US and India; of the Bhagavad Gita and related subjects with Swami Veda Bharati in Minneapolis, Calgary, Canada, Osceola WI, & India; and has completed a 40-day vow of silence at Sadhaka Grama, India. John participated in multi-day silence retreats as early as his high school years and studied in the seminary for 6 years including one full year novitiate and vows. His service activities include attorney services to various yoga groups worldwide and Rotary humanitarian grants to Khel and RDI. JuLee began practicing Hatha Yoga around 1995. She holds a BA in Philosophy with a minor in Religion. Her studies focused on Eastern philosophy and religions. She received initiation into the Himalayan Tradition from Nina Johnson in 2011. She began teaching at Himalayan Yoga & Meditation in the fall of 2013. She has completed Level I (200 hours) of the 600 Hour Himalayan Yoga Tradition – Teacher Training Program and is currently pursuing Level II. JuLee prefers to focus on gentle Hatha practice – mostly Joints & Glands exercises – as well as breathing practices, Pranayama practices and Meditation. She joined the HYM Board of Directors in May, 2014. Wesley is a lifelong and devoted student of Swami Rama and has also studied with Swami Veda Bharati, Behram Guard (Iyengar yoga,) AG Mohan (vinyasa yoga,) Ganesh Mohan, MD (yoga therapy) and many, many other generous and gifted teachers in the Himalayan tradition. He began his meditation practice in 1970 and was initiated by Swami Rama in May of 1972. In 1973, at the request of Swami Rama he began teaching meditation and yoga and was a charter member of the Himalayan Institute Teacher’s Association. More recently, in 2015, Wesley completed a 700 hour course in Yoga Therapy taught by Ganesh Mohan, MD. Over the years Wesley has taught classes in many areas of yoga and meditation including hatha yoga, meditation, philosophy and stress management. He is a mentor in the AHYMS Teacher Training program and has a particular interest in the Yoga Sutras of Patanjali and yoga breathing practices. In addition to teaching at Himalayan Yoga & Meditation, Wesley teaches credited classes in meditation through the College of Health Science at UWM and co-teaches a class for veterans combining writing and relaxation practices in the UWM English department. He serves on the board of the Swami Rama Society of the US and works with the Swami Rama Center in India on posthumously publishing the works of Swami Rama through HIHT Press (Lotus Press) and CD Baby.com. 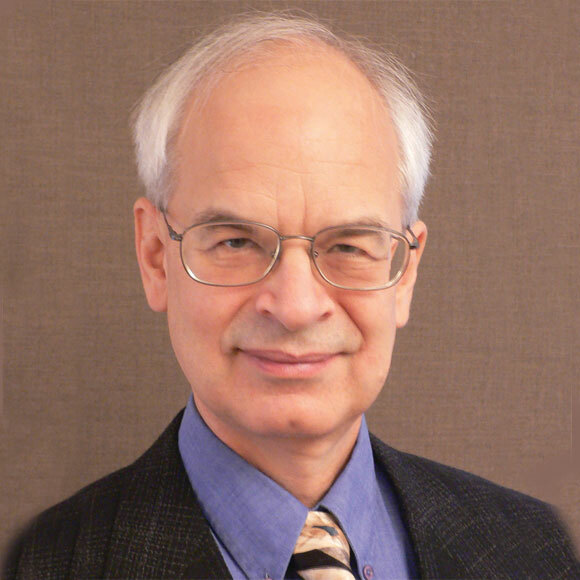 Dr. Buegel was a student of Swami Rama and has practiced and taught hatha yoga and meditation for over 40 years in seminars, teacher training programs and specialty workshops. His expertise in the fine points of yoga techniques have earned him the respect and appreciation of students in the U.S. and abroad. He is certified by Yoga Alliance E-RYT 500, YACEP. Swami Ma Radha Bharati, M.A. Philosophy, M.A. Public Affairs, has been a student of Swami Veda Bharati’s since their first meeting in 1971 when he introduced her to meditation. This life-changing event led her to meet and become a disciple of Swami Rama of the Himalayas in the same year. Ma Radha has extensive experience in teaching ethics and philosophy at several Universities. 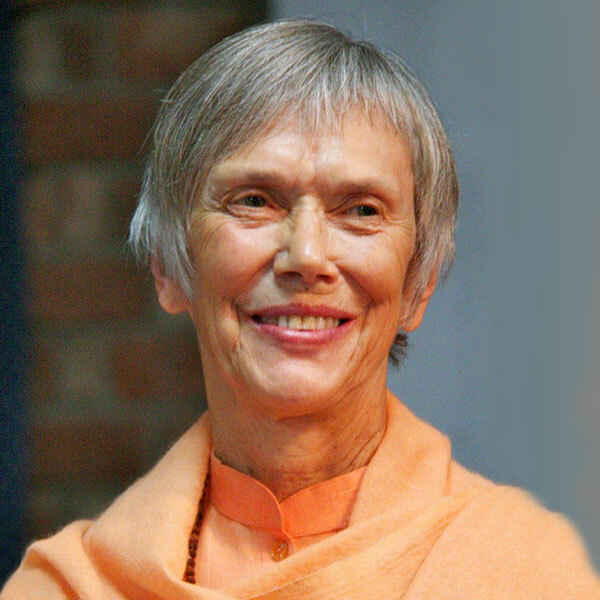 Most recently she has been both the Academic Director and a permanent Faculty member of Swami Rama Sadhaka Grama in Rishikesh, India teaching and continuing her personal practice under Swami Veda’s guidance. Her commitment to serve her community is inspired by the ocean of love that has been shown to her through the presence of Swami Rama and Swami Veda. She took sanyasa (renunciation) initiation on November 29, 2007. Dr. Stephen (Stoma) Parker, PsyD, E-RYT500, was initiated in the Himalayan Yoga tradition by Swami Veda Bharati and was given the initiate name Stoma in 1971. 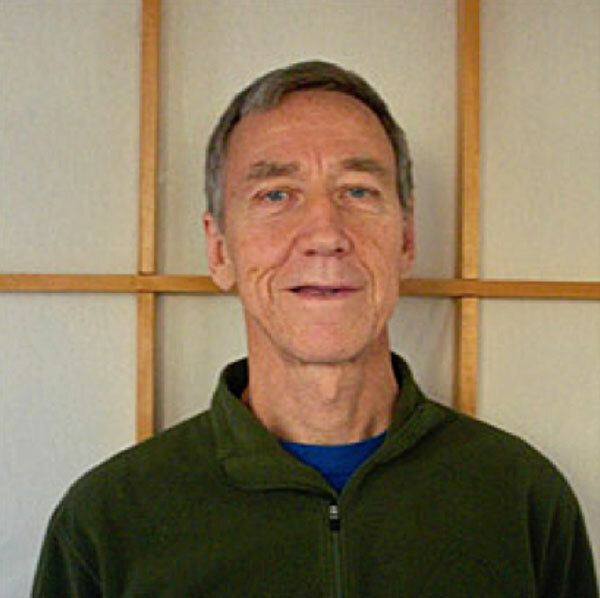 Among the first teachers certified by the Himalayan International Teachers’ Association, he began teaching hatha-yoga in 1974.A member of the International Association of Yoga Therapists, he serves on the faculties of our affiliate center and ashram in Minneapolis and Rishikesh, India, respectively. Stoma is a senior faculty member of the Himalayan Yoga Tradition Teachers’ Training Program and has lectured on yoga, meditation and spiritual practice in the U.S., Canada, Carribean, Holland, Italy, Austria, Hungary, South Africa, Korea, Hong Kong and India. In 2004 he helped originate and teach the first course on yoga in an American medical school at the University of Minnesota Academic Medical Center. In 2007 he received took preliminary vows of renunciation from Swami Veda and the Shankaracharya of Karvirapitha. Stoma has been a licensed psychologist in private practice in St. Paul, MN since 1985 and serves as Adjunct Assistant School Professor of Counseling and Psychological Services at Saint Mary’s University of Minnesota and Adjunct Assistant Professor in the Graduate School of Professional Psychology at the University of St. Thomas in Minneapolis, MN. 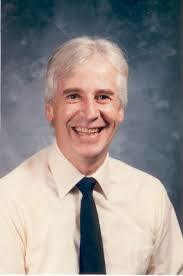 He teaches on the faculty of the Introductory Workshops of the Minnesota Society of Clinical Hypnosis. 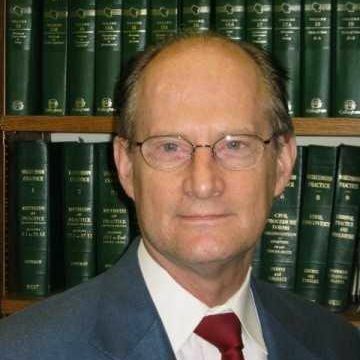 In addition to authoring journal articles and book chapters, Dr. Parker edited volume two of Swami Veda’s definitive scholarly work on the Yoga-sutras of Patanjali and he has been a peer review editor for the Journal of Men’s Studies, the American Journal of Orthopsychiatry and the International Journal of Yoga Therapy. As a psychologist and counselor in the public schools, Jim Nelson, M.A., has had years of experience helping people who struggle with negative emotions, family issues, and childhood problems. Jim has worked extensively with the meditative technique of Internal Dialogue to control distracting thoughts, has traveled broadly in North America speaking at conferences on a variety of psychological and philosophical topics, and recently wrote a book called Running of Empty, an assessment of the destructive changes and challenges that have eroded the well-being of adolescents and young adults. Jim served as President of the Board of Directors of our affiliate Himalayan center in Minneapolis for nearly 20 years and has taught at that center for over 25 years. He currently serves as Vice-President of the Association of Himalayan Yoga Meditation Societies of America (AHYMS-A) and is on the executive committee of AHYMSIN—its parent international organization. As President of our affiliate Himalayan Yoga Meditation Center in Palatine, IL, Anil Saigal, E-RYT500, teaches meditation, yoga philosophy and Eastern scriptures. Anil started meditating in college and later met Swami Rama of The Himalayas with whom he studied was initiated into the Himalayan Tradition by. Anil has been a guest speaker at local organizations and schools of meditation and yoga philosophy and provides individual and family consultation sessions for personal development and meditation practice. Anil completed Swami Veda Bharati’s 600 Hr level TTP in 2005, and is a RYT500 Yoga Alliance registered teacher. 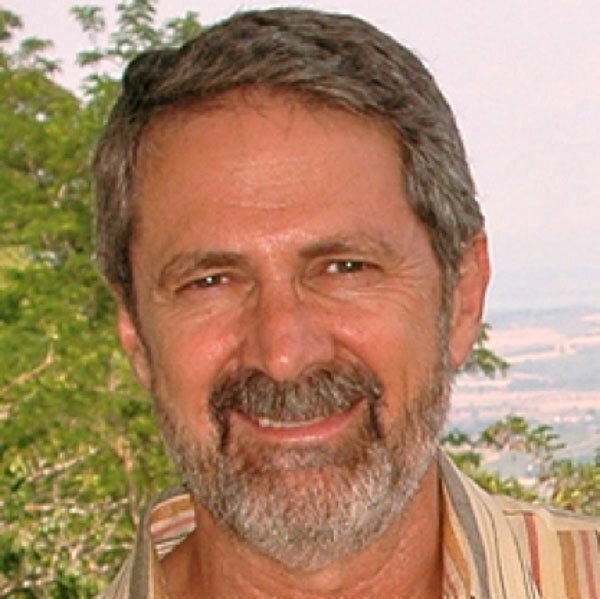 Michael Smith, E-RYT 500 is a faculty member of our affiliate Himalayan center in Minneapolis and a curriculum coordinator for the International Himalayan Yoga Teachers Association. Michael was certified by the Himalayan Institute Teachers Association and the Behram Guard School of Yoga Meditation (an Iyengar-based Hatha Yoga School) and has taught yoga for over 36 years. 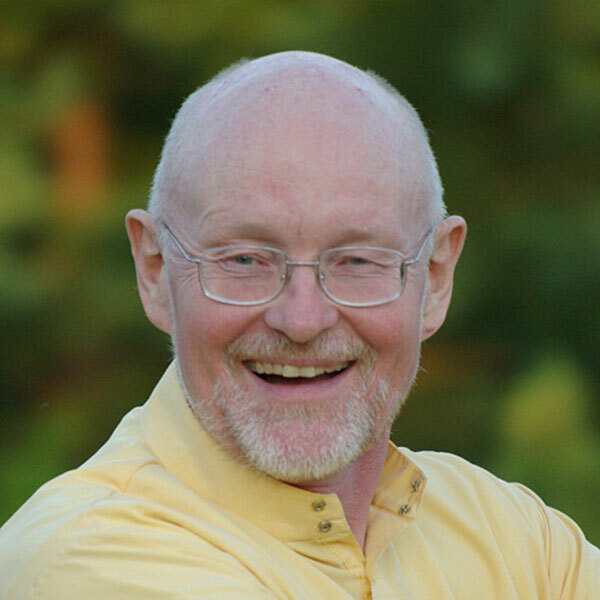 Michael served as a public school teacher for 35 years and as a professor of Comparative Religion at North Hennepin Community College, has edited and/or illustrated many books on yoga, and has lectured widely on stress management (the topic of his Masters Thesis) and holistic health.